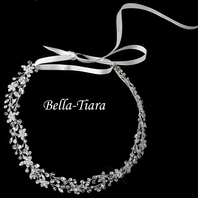 Molly - SPARKLING Elegance Swarovski and rhinestone headband-SALE! 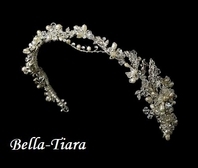 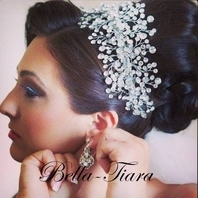 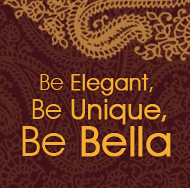 HOME / WEDDING HEADPIECES / Wedding Headbands / Molly - SPARKLING Elegance Swarovski and rhinestone headband-SALE! 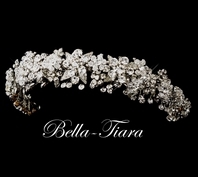 Description: Simple and sparkling, this headband features one alternating row of swarovski crystals and rhinestones. 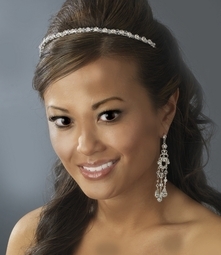 This versatile piece measures 10" wide and 1/4" tall, and ends in two loops that allow you to fasten the piece in your hair with bobby pins.